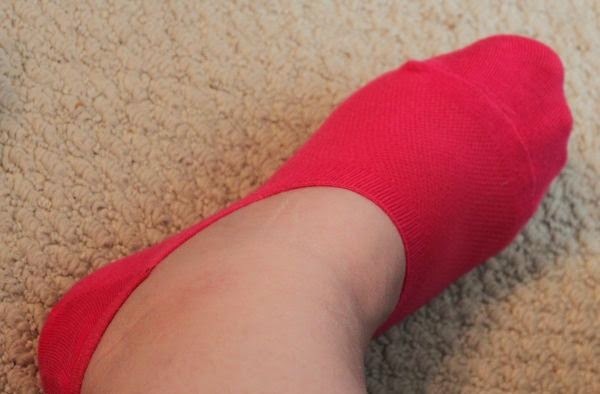 Beautiful Incentives: @KushyFoot #Review & #Giveaway! This review has been inspired from samples by Kushyfoot. I'm back with more kushy foot and a lot more products! Have you heard of Kushy foot? 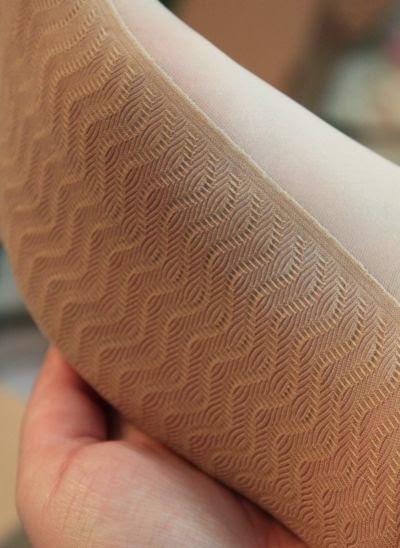 They are one of my absolute favorite brands for fashionable footwear, shapewear and accessories. I have reviewed a scarf, foot wear and now I've got more designs to share with you. They are super fashionable, comfortable and most importantly, affordable! I have the pleasure to introduce and giveaway some of their newest designs in foot wear and I'm really loving these. So far I have worn them with high heels, flats, tennis shoes, and boots. All of these padded socks have made my footsies happier in my shoes. Especially in my flats, as a lot of them like to come without enough cushioning. These are awesome, because they are comfortable and not too thin or thick, but the biggest plus is that they are breathable so you won't get sweaty. You can get your footsies nasty as can be from running or walking all day and still take them off to reveal fresh, funkless feet. They also have plastic attachments on the hell so that they don't fall off during movement. I thought that was really nice, considering I have battled that problem several times. No more escaping socks bunching up into your shoe! These sheer anklets have a special ribbed bottom to add a little bit of a massaging effect on your soles. The rest of the anklet is sheer like pantihose and the sock reaches just above your ankle. They are super comfy and great to wear with work pants and flats for a bit of extra comfort if you're on your feet all day or to put on after a long day. I have icky carpet and i love to wear these when I walk on it. I can't feel the unpleasant texture. These toe covers are also sheer aside from the bottoms, which feature a massaging padding. They are for when you need extra comfort in the middle of your foot. These are great for heels! 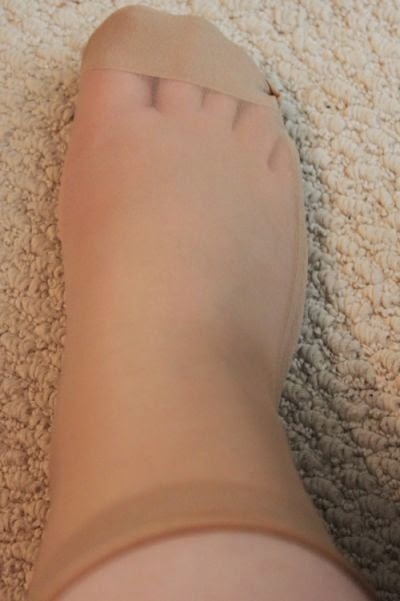 These foot covers are extreme low cut for those skimpier flats that show more skin. They are undetectable when you are wearing your flats and they deliver extra comfort in the heels or toes with padding. So often flats come with very little padding and this will help with that problem. These are perfect for any close toed shoes. They come in lace and other pretty designs and like all Kushy foot's other footwear, they are super comfy. These also come in Super Ultra low cut , if you need them a little less low cut. 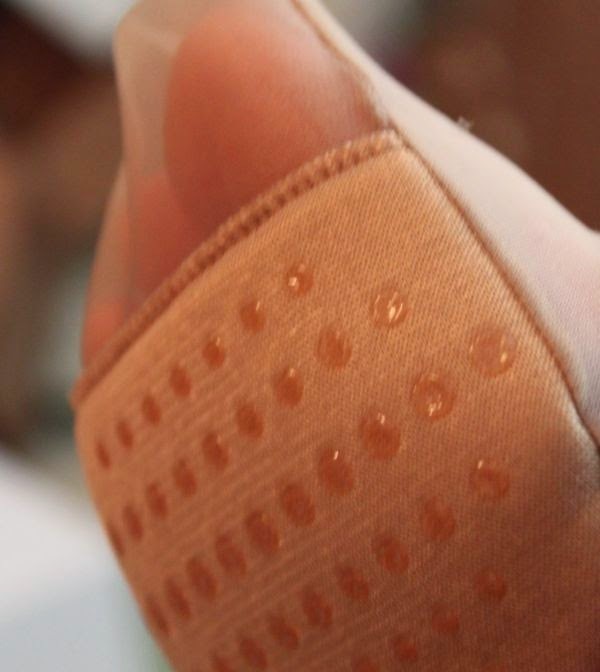 Some are padded at the toe and some at the heel for your convenience. I am very happy with these footwear and I have noticed that they also keep my feet from being irritated by the materials of some of my shoes. Definitely worth the low cost at just $12 for 3 pairs and up! Right now you can take advantage of their 20% off sale when you spend $40! ALSO, check out their clearance for $5 slippers and more! And now i'm excited to giveaway the same collection of samples valued at $50, to one lucky winner! This giveaway and review is in accordance with FTC guidelines. I like the casual crew socks. I would get the most use out of their slippers. Tennis shoe foot covers would be really useful to me!! The sheer anklets would be nice. Wife would love them. I could use all of them and especially like the tennis shoe type. The Super Ultra Low Cut Foot Covers would be most useful to me. I would like the Sheer Anklet. I think I would get the most use out of the toe covers. I love the sheer foot one and have used it a few times myself. I would take whatever you have me! The tennis shoes foot cover would be best for me. The sheer anklet is nice. i would love the sheer anklets. I love the Lace Foot Covers! I would get a lot of use from the Sheer Anklets. the casual crew socks..these are precious thanks ! The Tennis shoe foot covers would be of the most use to me. I'd wear them all but probably those the most.